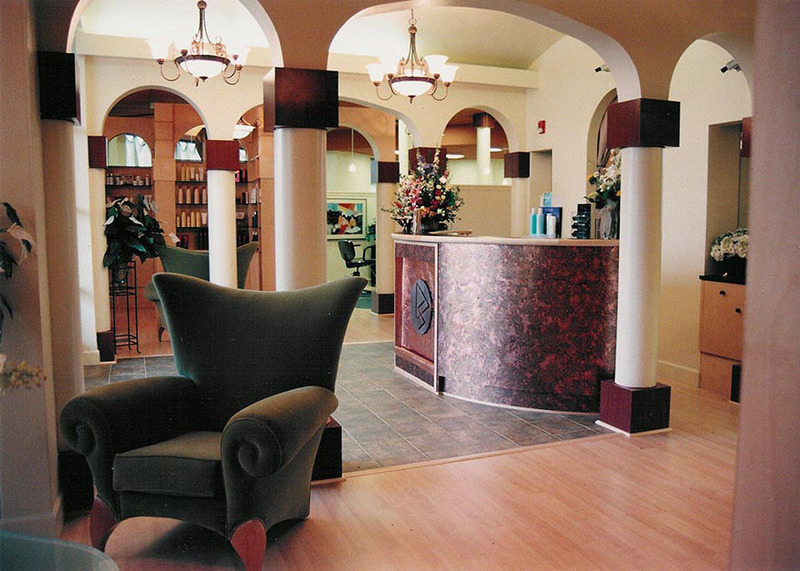 The salon entry area includes arched colonnades supporting a barrel vault leading to the reception desk. Indirect cove lighting leads clients in. The elegant salon design encourages clients to stay for the day.